5* Hainan Airlines cheap non-stop flights Dublin to Shenzhen from €354! 5-star Hainan Airlines give amazing opportunity for travelers in Ireland to explore Shenzhen, one of the largest cities in China located in Guangzhou province. (Separated from Hong Kong by Pearl River). If you are flexible and can departing in February or March this is awesome solution moreover based on direct service. At this moment you can book the cheapest non-stop flights from Dublin to Shenzhen already for €354! Fare is inclusive of all taxes and fees, onboard meals as well as checked luggage. 5* Hainan Airlines promotion is valid for flights departing from Ireland to China from 25th of February to 22nd of March 2019. No further restrictions of this Hainan promo sale. 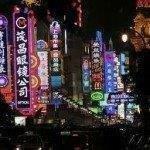 If you need an accommodation in Shenzhen we recommend Booking.com or Hotels.com. Below you can refer to our booking sample if interested in this solution. Look for departures on Monday or Friday (Both outbound / inbound flights). Booking sample of 5* Hainan Airlines cheap non-stop flights Dublin to Shenzhen from €354! Date of your outbound flight from Ireland to Shenzhen would be on Friday, 8th of March. Return flight from China back to Dublin on 18th of March 2019. Both flights are based on 5-star Hainan Airlines direct service.